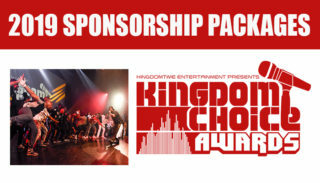 Artist, Companies and organizations can submit material to be published on Kingdom Time Media. All material will be reviewed by KTM administrative team before being cleared for publishing. Please follow submission instructions carefully. If materials are not submitted properly they will not be posted on the site. Copy and paste the following permission statement (I ‘your name’ give Kingdom Time Media the permission to post this video to their website and the right the upload the video to the Kingdom Time Media youtube channel if desired). To have your video featured on the ‘Video Premiere‘ screen there will be a $100 fee. Your video will be posted in the ‘Video Premiere’ screen for a minimum of 9 days. To have your video posted in the ‘Hot Spot‘ video box on the right side of the home page, there will be a $35 fee. Your video will be posted for a minimum of 9 days. Email subject: (DOWNLOAD MUSIC) artist name, song, album, mixtape title. Attach mp3 file or paste download link. Please attach a high res picture or album cover, minimum resolution 600×600. If you wish to have your song featured in the ‘Hot New Music‘ player there will be a $30 fee. The song will be posted for a minimum of 9 days. Submit your press release or blogs to news@kingdomtimemedia.com. Please make sure your material is well written and detailed. Please be sure to attach any music, artwork or video associated to your post. Your material will be reviewed by the KTM admin team once received. Please take note that KTM is not obligated to post your submitted material and we have the right to choose not to without explanation. To submit your album/mixtape to be considered for review, please email what is listed below.